Squirrelfish and Soldierfish are members of the Holocentridae family. The Soldierfishes are placed in the Myripristinae subfamily, whereas the Squirrelfish can be found in the Holocentrinae subfamily. Squirrelfishes are often kept in marine aquariums due to their relative ease of care, deep red colors, and fascinating big eyes. The Blackbar Soldfierfish (Myripristis jacobus) is one of the most commonly available members of the Holocentridae family. Other frequently seen species in the trade include the Sammara Squirrelfish (Neoniphon sammara), Glasseye Squirrelfish (Heteropriacanthus cruentatus) and the Popeye Soldierfish (Pristigenys serrula). Squirrelfish and Soldierfish are found in the tropical Indian, Pacific and Atlantic oceans. They can range in size from 3” (8 cm) to 15” (35 cm). Squirrelfish and Soldierfish are typically nocturnal, spending their days hidden amongst rock crevices and caves. They are active at night where they hunt for foods such as crustaceans and forage for zooplankton like mysis. Squirrelfish and Soldierfish can make great aquarium inhabitants, provided their husbandry needs such as diet, water quality and tank space are met. These fish are generally found in caves, under overhangs or more dimly lit conditions. It is advisable to recreate this environment in captivity through ample rockwork, and avoid overly bright lighting, particularly during acclimation to captivity. Most squirrelfish prefer a temperature range of 72F (22C) to 80F (26C). Squirrelfish and Soldierfish are generally considered reef safe, with caution. While they will not harm corals, they will consume small fishes and small ornamental shrimps. 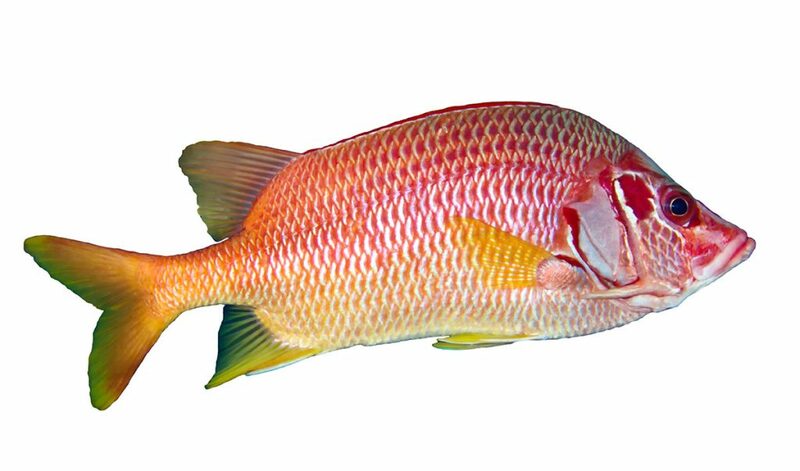 It is important to consider carefully what species of Squirrelfish or Soldierfish may be best for your aquarium. While smaller species such as the Striped Squirrelfish (Sargocentron xantherythrum) are suited to tanks as small as 70 gallons, larger species such as the Glasseye Squirrelfish (Heteropriacanthus cruentatus) may be better suited to a larger tank.